The Arts & Culture Trust is sponsoring fifty passes to attend the ACT | UJ Creative Conference, as ACT acknowledges the difficulty that some students, creative practitioners and arts educators face in being able to attend the conference. Please note that preference will be given to young female arts educators and arts education students. Recipients of sponsored registrations will be entrusted to make the most of their conference attendance in terms of gathering information, networking, learning and interchanging ideas with other delegates with the view of making a contribution to their careers, businesses and organisations and the creative sector in general. 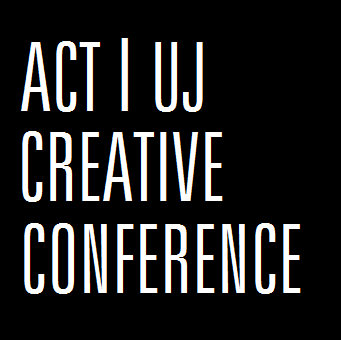 #CreativeUprising will take place at the UJ Arts Centre on their Kingsway campus from the 27th – 28th July and is for educators looking to expand their practice, art educators from formal and non-formal institutions and centres, academics and art learners. To buy a ticket click on this link, and to view our conference programme click here. To find out more about the sponsored conference passes please click here. Please note that applications close on the 30th June 2017. Successful applicants will be notified by email no later than 10 July 2017. The Arts & Culture Trust (ACT) is South Africa’s premier independent arts funding and development agency. The primary aim of ACT is to increase the amount of funding available for arts and culture initiatives, and to apply these funds to innovative, sustainable projects that make a meaningful contribution to society. 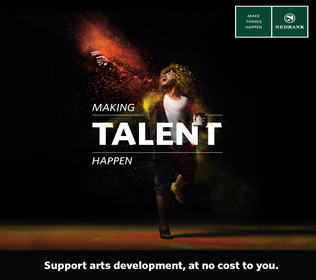 Through structured funding programmes, ACT provides support for all expressions of arts and culture, including literature, music, visual art, theatre and dance, and the support extends to festivals, community arts initiatives, arts management, arts education and arts administration. Follow ACT on Twitter or like the Trust’s Facebook page. UJ Arts & Culture, a division of the Faculty of Art, Design & Architecture (FADA), produces and presents world-class student and professional arts programmes aligned to the UJ vision of an international university of choice, anchored in Africa, dynamically shaping the future. A robust range of arts platforms are offered on all four UJ campuses for students, staff, alumni and the general public to experience and engage with emerging and established Pan-African and international artists drawn from the full spectrum of the arts. For regular updates, follow UJ Arts & Culture on Twitter or visit www.uj.ac.za/arts. SAMRO Foundation (NPC) is the Corporate Social Investment Portfolio of the SAMRO Group of Companies. As a non-profit company, the SAMRO Foundation aims to promote the national arts through sponsorships of various kinds, and to encourage excellence in the arts through education, facilitation of economic participation in the creative economy, influencing cultural and arts policies by means of research and advocacy as well as promoting living cultural heritage. For more information, please click here. Drama for Life, based at the University of the Witwatersrand, is an arts centre for social transformation and healing. It is dedicated to transforming arts, culture and heritage research, education and practice in Africa. Our commitment toward South Africa is found in our academic, short course and community engagement programmes and projects throughout the country. This commitment is embedded in a belief that the performing arts have the ability to give voice, respect and dignity to all who live in our country. HI pity this wasn’t last two days of school holidays 20 21 , as next week teachers probably wont be able to attend and will be going through june exam papers and starting revision for Matrics for prelims. Hi Noel, thank you for your comment. It is a pity, as we work shopped this date to try and accommodate school, university and arts calendars. Our aim was to design a programme that is flexible and allows teachers to join the conference between classes and after school. Our ticket prices allow you purchase a single day entry, based on the sessions that you would be most interested in. We understand your concerns but we do still hope to see you there.